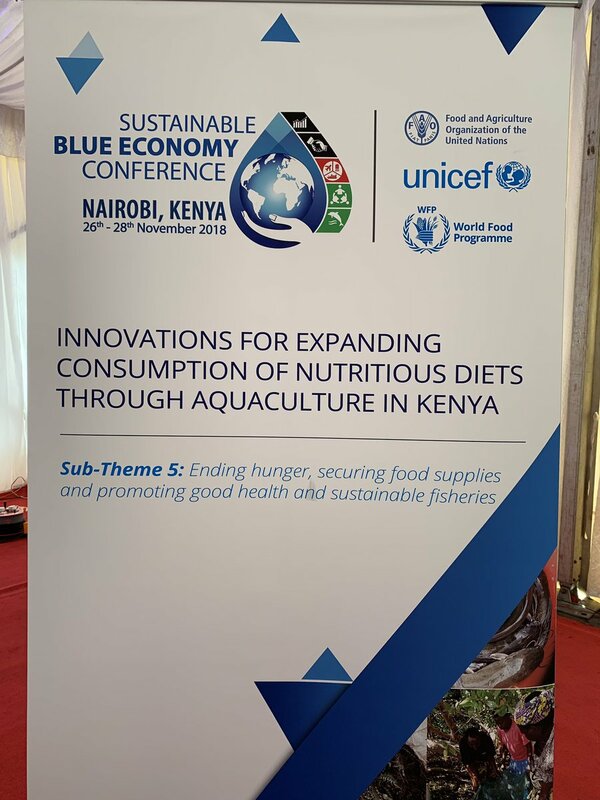 The 1st ever global Sustainable Blue Economy Conference (SBEC) ends today in Nairobi, Kenya. The conference was held from 26 – 28 November 2018 at the Kenyatta International Conference Centre (KICC). The SBEC has been co-hosted by Kenya, Canada and Japan. Kenya is leveraging on the high-level global event to harness and revamp its blue economy. Held under the banner “Blue Economy and the 2030 Agenda for Sustainable Development”, the conference presents the countries with an opportunity to engender national debate on the blue economy. The “blue economy” concept refers to the use of seas, oceans and lakes and their resources for sustainable economic development. President Uhuru Kenyatta and other heads of states and heads of government were present at the global meeting. At least five presidents headlined the three-day event. They were from Uganda, Zanzibar, Seychelles, Somalia and Mozambique. Eleven Heads of State and government were also there with 88 ministers representing their nations. The SBEC focuses on two pillars namely: (a) Sustainability, Climate Change and Controlling Pollution and (b) Production, Accelerated economic growth, Jobs and Poverty alleviation. Blue economy deals with water bodies and the economic activities around them including fishing, marine transport, extraction of minerals under the sea, among many others. UN-Habitat is getting involved mostly because of urban centres based on water fronts. The world’s poorest continent hosted the blue economy estimated at $1 trillion but loses $42 billion a year to illegal fishing and logging of mangroves along the coast, according to UNECA estimates. The conference heard that fishing communities along Africa’s coastline are at a greater risk of extinction as countries eye oceans for tourism, industrial fishing and exploration revenue to jumpstart their “blue economies,” UN experts and activists said. The continent’s 38 coastal and island states have in recent years moved to tap ocean resources through commercial fishing, marine tourism and sea-bed mining, according to the United Nations Economic Commission for Africa (UNECA). Globally (World Bank estimates), it is estimated that the Blue Economy contributes about US$ 1.5 trillion per annum (3 per cent of global GDP) and creates approximately 350 million jobs in fishing, aquaculture, coastal and marine tourism and research activities. Kenya believes that with serious investments in the Blue Economy sector, there is the potential to double the GDP and more in the short and medium term periods. In a nutshell, it means there is a lot of room to realize the full benefits of the Blue Economy from the other sectors in RCMRD member States. The very overarching theme for the conference was, ‘Blue Economy and the 2030 Agenda for Sustainable Development”. The conference will brought together Participants from around the world, including Africa, to share ideas on how to transition to a Blue Economy that: Harnesses the potential of our oceans, seas, lakes and rivers to improve the lives of all, particularly developing states, which fits in well with SDGs Goal 14 that is concerned with Conservation and sustainable use of the oceans, seas, and marine resources.The conference is preparatory to the 2020 Ocean’s Conference which Kenya will be cohosting with Portugal. 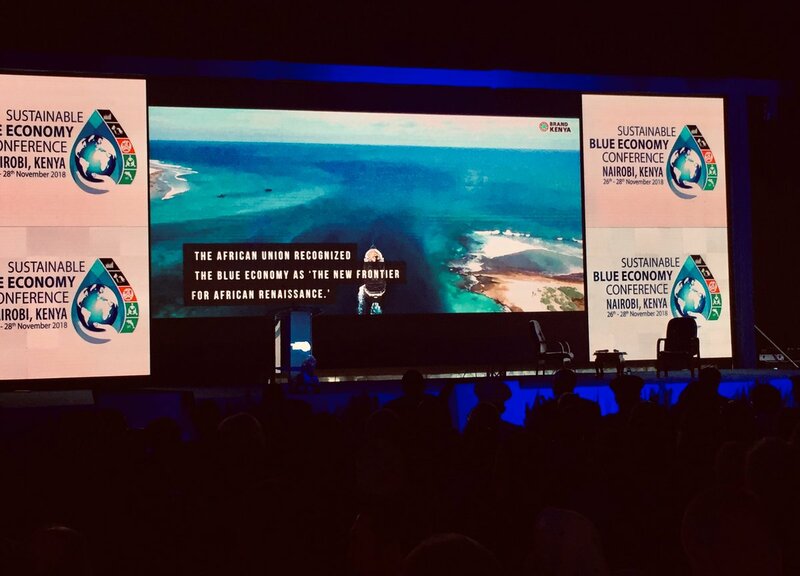 The goal of the Global Blue Economy Conference is to have action-oriented discussions pertaining to a sustainable blue economy strategy that is people-centric, with ocean-centric investments. The conference will provide an opportunity for both developing and developed countries to explore: The priorities and challenges of establishing a sustainable blue economy and its contributions to the implementation of the 2030 Agenda for Sustainable Development including maritime safety and security. The innovative role of various stakeholders, including national and local governments, private sector, civil society, regional and subregional groups as well as domestic and international financial institutions in investing and formulating sustainable ways of exploiting Blue Economy.This conference builds on the momentum of the UN’s 2030 Agenda for Sustainable Development, the 2015 Climate Change Conference in Paris and the UN Ocean Conference 2017 ‘Call to Action’.The SBEC conference is predicated on the two conceptual pillars of: (i) Sustainability, Climate Change and Controlling Pollution and (ii) Production, Accelerated Economic Growth, Jobs and Poverty Alleviation.The conference was organized around nine central sub-themes grouped under three main categories: The nine (9) Sub-Thematic Areas were: Smart Shipping, Ports , transportation and global connectivity. Employment, Job Creation and Poverty Eradication.Cities, Tourism, Resilient Coasts and Infrastructure. Sustainable Energy, Mineral Resources, and Innovative Industries. Ending Hunger, Securing Food Supplies and Promoting Good Health and Sustainable Fisheries. Management and Sustaining of Marine Life, Conservation and SustainableEconomic Activities. Climate Action, Agriculture Waste Management and Pollution-free Oceans. Maritime Security, Safety, Regulatory Enforcement. People, Culture, Communities and Societies: the inclusive Blue Economy. The four (4) cross - cutting issues were 1. New Technologies and Innovation for Oceans, Seas, Lakes and Rivers. 2. Challenges, Potential Opportunities, Priorities and Partnerships. 3. Financing for blue economy and 4. Women, Youth and the Blue Economy.Other attendees were: The International Maritime Organization, The World Wildlife Fund, International Seabed Authority, The World Bank, AFRIEXIM BANK, The Ocean Foundation and RCMRD among others was also represented. Kenya and other governments especially in should domesticate the various existing comprehensive international instruments that have been signed and ratified, and seriously commit to their implementation and enforcement at local (country), regional and international levels; and, continuously, collect, compile and analyse a wide range of economic, social, and environmental data and information on which the desired actions may be taken in order to tackle global problems of pollution; environmental degradation and climate change humans are experiencing now. This is in accordance with the AU’s ‘Agenda 2063’ which has the Vision of “an integrated, prosperous and peaceful Africa, driven by its own citizens and representing a dynamic force in international arena”. This vision envisages a prosperous Africa that is based on inclusive growth and sustainable development; a much more integrated continent that is politically united and driven by the ideals of Pan Africanism and the vision of Africa’s Renaissance. To say the least, these aspirations, include the ideals enunciated in the Blue Economy.